Tony is fun, wacky, and family-oriented and brings his winning team a much-needed balance of love of food, love of travel, and love of family to their excursions around New England. 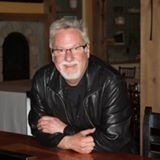 Whether scuba diving off the coast of Maine, racing down an alpine slide in Vermont, or just walking the beach en route to a New England lobster bake, Tony will introduce you to a New England that is burnished in autumn, fun in the sun, and delicious all the year through. Most importantly, Tony’s infectious enthusiasm for the places he loves and discovers imbues viewers with a joie de vivre for this part of the world. Sandy Zielinski is Tony’s co-host for the New England Cooks live cooking demonstration. Not only is she excited about being part of the New England Cooks cooking experience and spending more time in Vermont, she also gets to work with her brother, Tony, something that they have talked about for years. Sandy is looking forward to working with the guest chefs, interacting with the live audience, and keeping Tony in line. She believes that a meal cooked with love, care, and expertise creates an environment that builds bonds with friends and family. Sandy lives in Connecticut and loves traveling and trying local cuisine, biking, and skiing in the beautiful mountains of Vermont. Chef Jean-Louis Gerin is an award-winning master chef who was recognized by the James Beard Foundation as the Best Chef Northeast. Chef Jean-Louis received the title of Maître Cuisinier de France in recognition of his ability to train new generations of chefs. He and his wife Linda, daughter of famous chef René Chardain, operated Restaurant Jean-Louis in Greenwich, Connecticut for nearly 30 years before joining the New England Culinary Institute in Montpelier, Vermont. In 2012, Chef Jean-Louis was a champion on the Food Network’s Chopped Challenge. 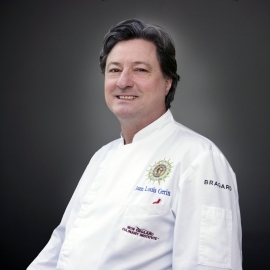 He is the President of the Academie Culinaire de France, the largest French culinary delegation outside France with a mix of American and French chefs, pastry chefs, chef instructors, and charcutier. Knighted twice by the French government, Chef Jean-Louis received the medal of Chevalier du Mérite Agricole and the medal of Chevalier des Arts et des Lettres. 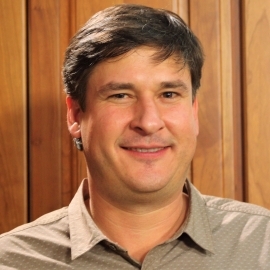 Stuart is a graduate of Johnson & Wales Charleston, South Carolina campus with an Associates in Culinary Arts. He worked at the Charleston Grill, a four-star, five-diamond restaurant in Charleston, under Chef Bob Waggoner. After moving to Vermont, Stuart began working at the Wyndham Hotel in Burlington, Vermont as its Food and Beverage Director. He has been employed by Farrell Distributing for the last 10 years, where he is a Fine Wine Area Sales Manager. During this time, he completed Level 3 of the WSET exam and is currently enrolled in the WSET diploma program. He has also completed the Certified Specialist of Wine program with the Society of Wine Educators and is a Cicerone Certified Beer Server. Stuart is an avid mountain biker and back country skier, and enjoys spending time on Lake Champlain in the summer with his beautiful wife and two sons. 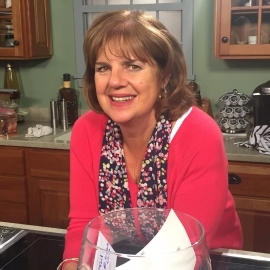 Carol Day was Tony's co-host for the New England Cooks live cooking demonstrations from the very beginning until her retirement in October of 2016. She says being in front of a live audience was always exciting, but she really enjoyed being his accomplice, as well as trying to keep him in line! Carol inherited her love of food and eating from her father. She is always the first to sample any food our talented chefs prepare and serve on the show. When not playing golf or involved in numerous community activities, Carol loves to entertain and eat out! Tom, a native Vermonter, is proud to be called a 'woodchuck', considering this term a compliment to the industrious and resourceful Vermonters who embody today the spirit of those who formed the republic of Vermont long before there was a United States. Tom has not decided what he wants to do when he grows up and has a long list of past 'careers'. He was: youngest firefighter in his hometown, youngest Vermont state trooper, one of the first emergency medical technicians in the state, skeleton sled pioneer—before it was an Olympic sport—and is an avid cook. In his real life, when not hosting New England Cooks, he served as Deputy Commissioner of Agriculture for Vermont, appointed by Governor Dean in 1999, working to open new markets for the state’s products. He lives in Randolph, Vermont, with his wife, Vicki, and two daughters, Colleen and Bridget, where he is active in the local theatre and church.